Retrocomputing, photography, electronics, biking, and more. Before there was World of Warcraft, there was Everquest. I never played it but I had a buddy in college who did: he talked about how amazing the MMO genre was, with all its social aspects, technical quirks, and just plain cool experiences. Naturally it inspired me to make my own clone. In Visual Basic. With 2d graphics and piping everything through the Winsock .ocx control. 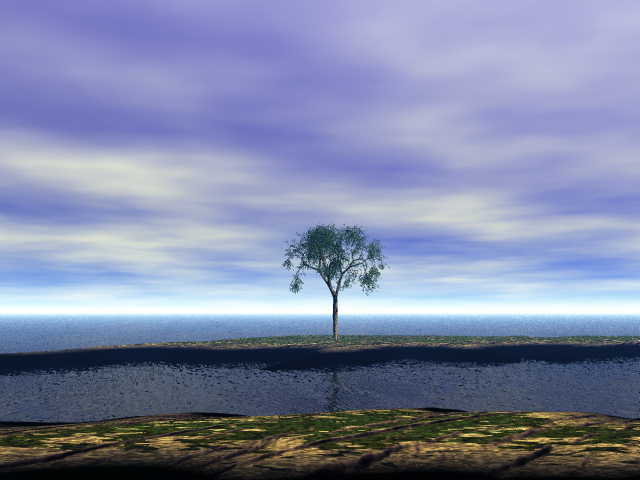 Full of programmer art made with a pirated copy of Bryce 3d. Ah, the wide-eyed days of a young programmer in a rapidly expanding genre. It’s like I was playing out every cliche of the Gamedev.net newbie at once. The one thing I had going for me, though, was a thorough understanding of the impossibility of such a project – and a sense of humor about it all. For example, I often joked that the only enemies were going to be Gelatinous Cubes, because that would be easy to render. I once wrapped a photo of my roommate’s face on a sphere to use for a hideous player character head. And so on. Eventually I got about as far as a character select screen, with a couple songs, before giving up and moving on to something else. Unlike SlugFest, this is one that isn’t ever going to get off the ground. If anyone is interested in the art and music resources, you can have them: hereby released into the Public Domain. This isn’t my only brush with the MMO genre. Later on some friends and I tried another take on it (“Draconis”) as the U of A Game Dev club project – with a result somewhat similar to The Mana World, and it once held up to five players online simultaneously. The real killer for these kind of games is the sheer amount of content required. Though Draconis worked technically, all the content in the world was viewable at first login. Hardly a compelling MMO experience. 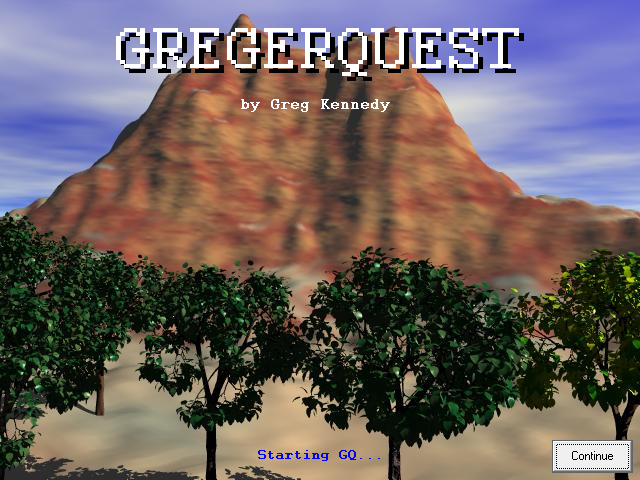 Download GregerQuest Resources: .ZIP file, 1.9mb. This entry was posted in Games, Software on January 27, 2013 by admin.